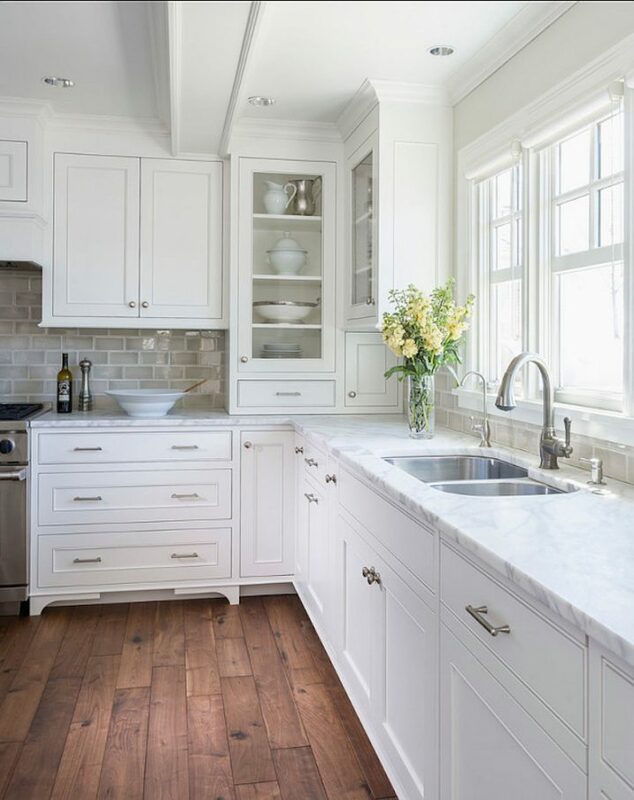 The kitchen is the place in our homes that requires great storage solution for all those kitchen utensils and appliances, so you need to make sure to use every inch of the space. So, don’t even think of leaving the corner spaces empty because they can be used too. 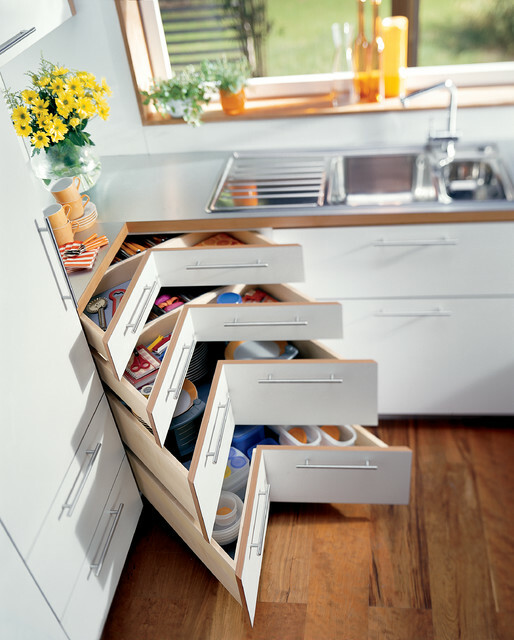 And today, you will find some of the best space-savvy tips of how to use an empty kitchen corner space. 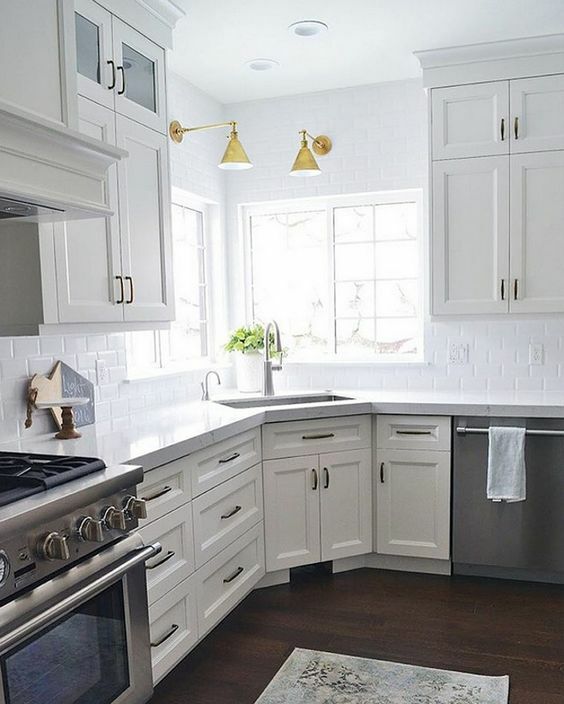 The possibilities are quite versatile and we believe that once you finish reading this article, you will definitely get inspired to incorporate some of these ideas into your kitchen too. So, let’s check them out! 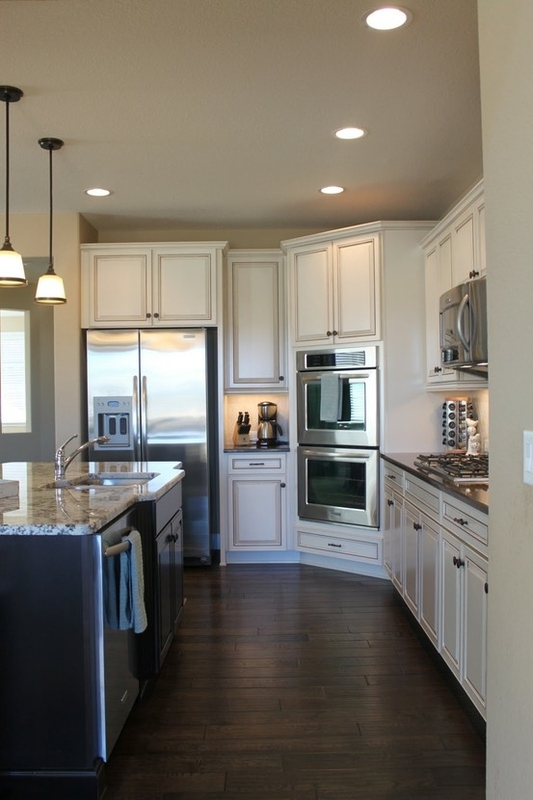 Yes, when choosing the layout for your kitchen, you can look for one that features a corner kitchen cabinet. 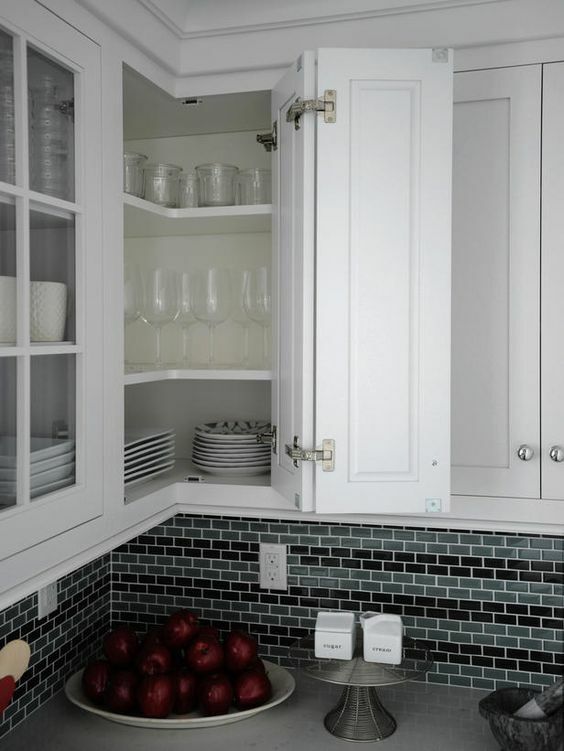 This gives you extra space for storing some plates or glasses and is just one of the option of filling an empty corner space. 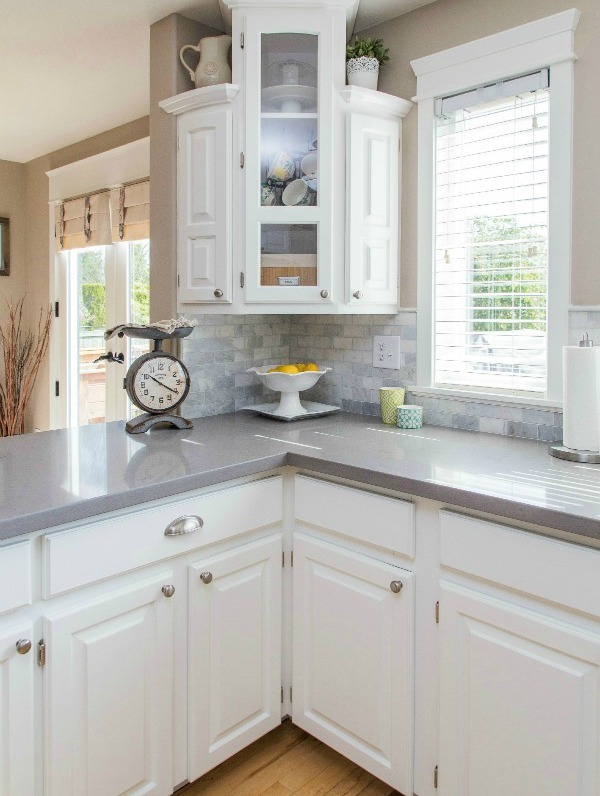 Corner sinks are perfect choice for small kitchens. And when there is a window above it, the space will get more natural light, which will instantly make the space look brighter and bigger. 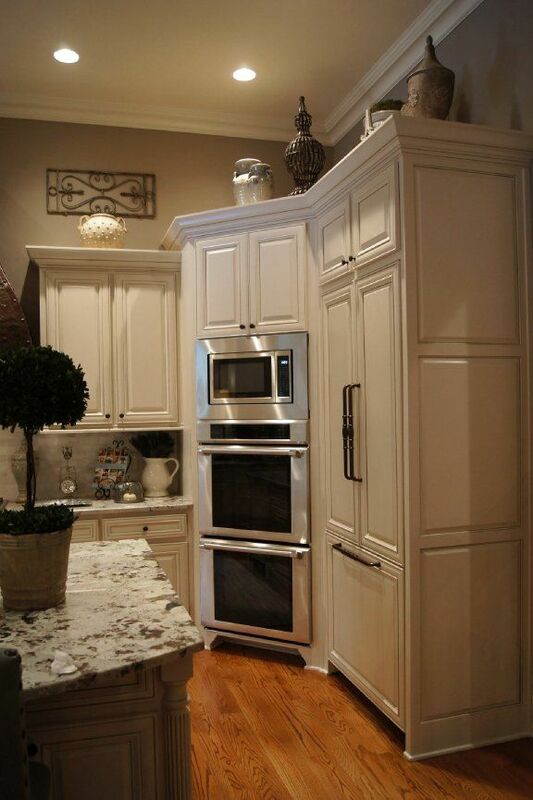 Yes, in case you don’t like a corner sink, then you can opt for a corner oven. 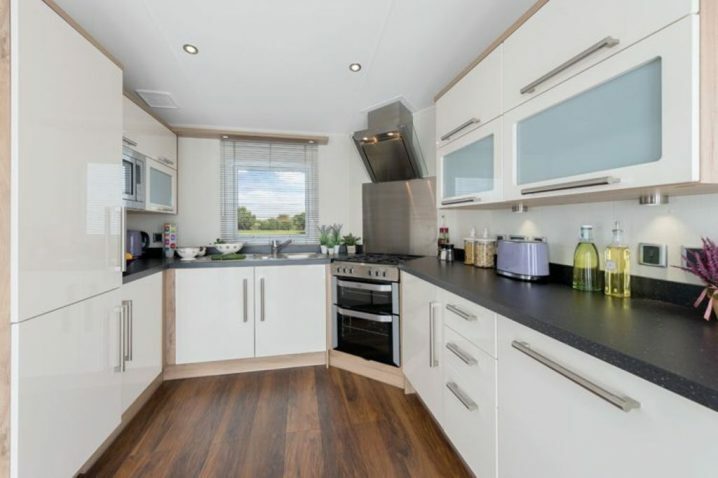 Perfect choice for small kitchens which gives you the chance to add more cupboards and drawers on the side and thus get more storage space. 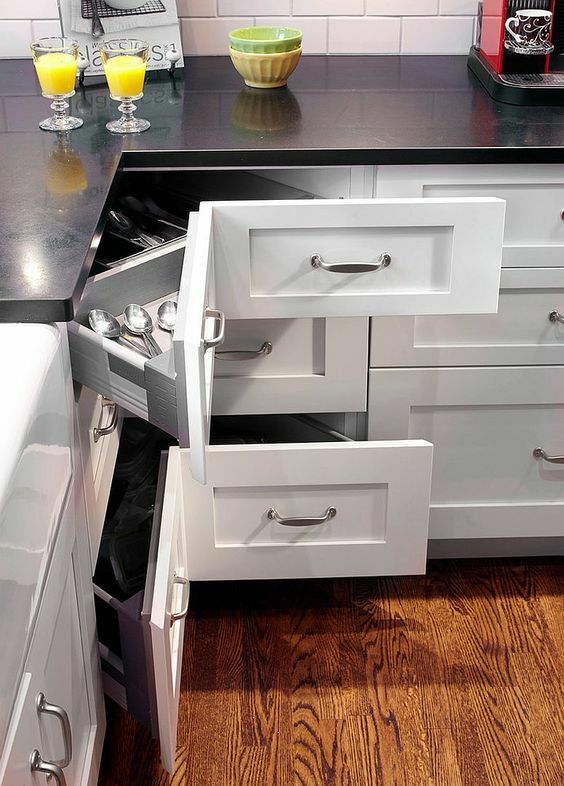 And of course, there is no better way to fill an empty kitchen corner space than to choose some corner drawers. 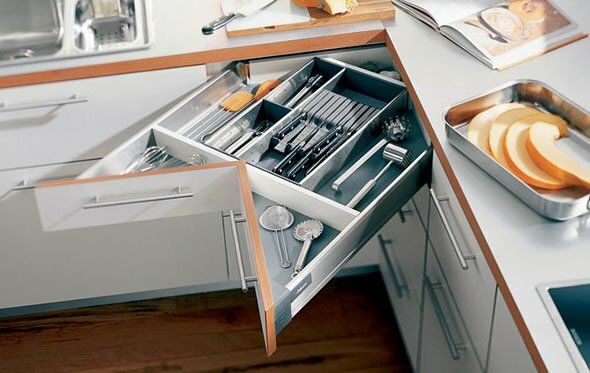 They can be quite versatile, giving you the chance to store your kitchen utensils or even some smaller gadgets. 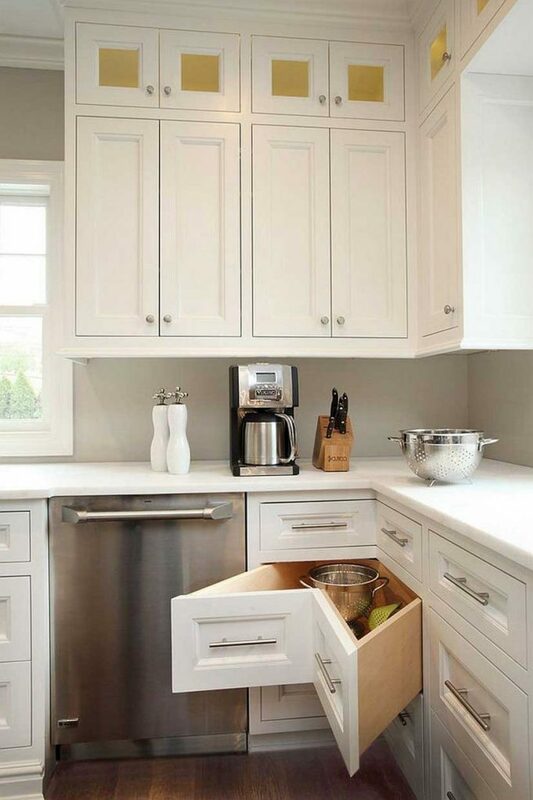 Some of them can even feature a pull out recycling baskets, which is great way to hide them and still have them at hand whenever you need them. 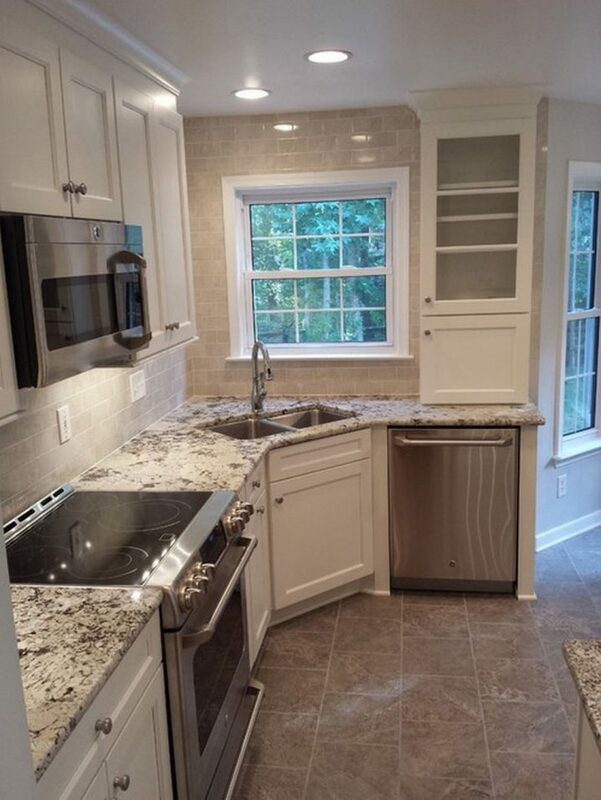 So, how would you fill the empty corner space in your kitchen? Tell us in the comments and make sure to stay up to date with the content of Top Dreamer to find many other space-saving tips that will help you organize your home in the best way.